Want to get your bike checked out, brush up on your cycling skills, or go on a ‘social ride’ around the local area? The council’s running a series of events at Hornfair Park on the 3rd Sunday of the month, with the next sessions taking place tomorrow (15th May). 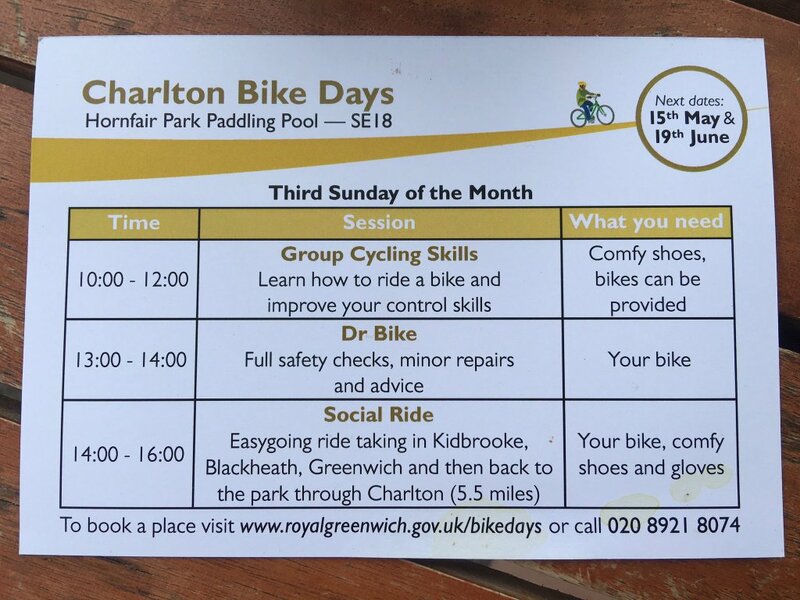 More info and booking for the cycling skills session and social ride can be found here: http://royalgreenwich.gov.uk/bikedays. As ever, we’d love to hear your feedback if you go along – tell us about it in the comments box below!